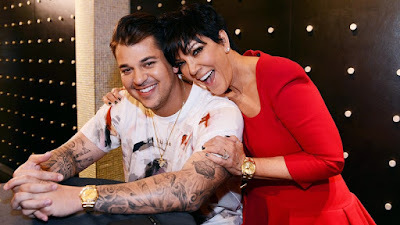 Home / Entertainment / Kris Jenner,"Rob is doing better,he is working on his health"
Kris Jenner,"Rob is doing better,he is working on his health"
Making his momager proud! Kris Jenner says Rob Kardashian is continuing to make progress. Kardashian, 31, has retreated from the cameras and the public eye since he gained more than 100 pounds in 2015, with the exception of his short-lived E! series Rob & Chyna, which he filmed with ex-fiancée Blac Chyna in 2016. Despite feeling better, Jenner told Us that fans should not expect to see much of the Arthur George sock designer in season 15 of Keeping Up With the Kardashians.